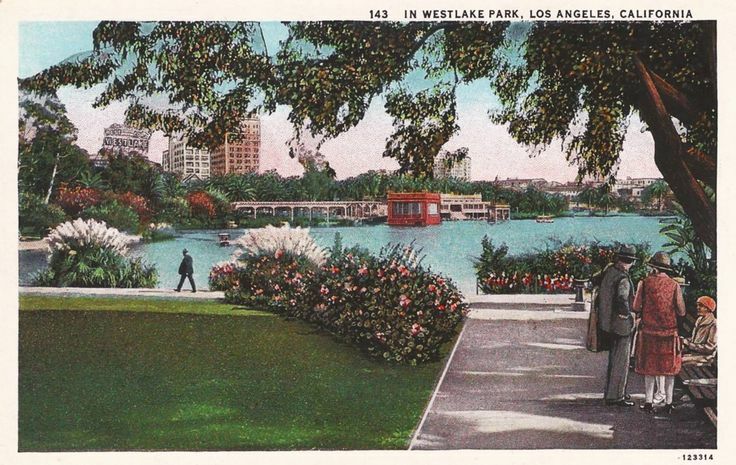 Located between Sixth & Seventh and Alvarado & Park View streets, in 1926 Westlake Park was a scenic oasis west of downtown Los Angeles, overlooked by fashionable apartment houses, hotels and tearooms. 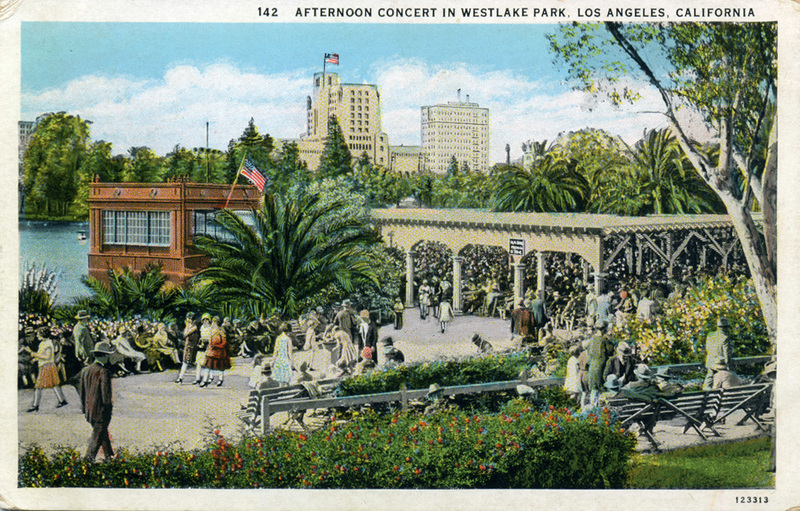 The park c. 1921. LAPL collection. The park entered around West Lake, which was fed from a natural spring. 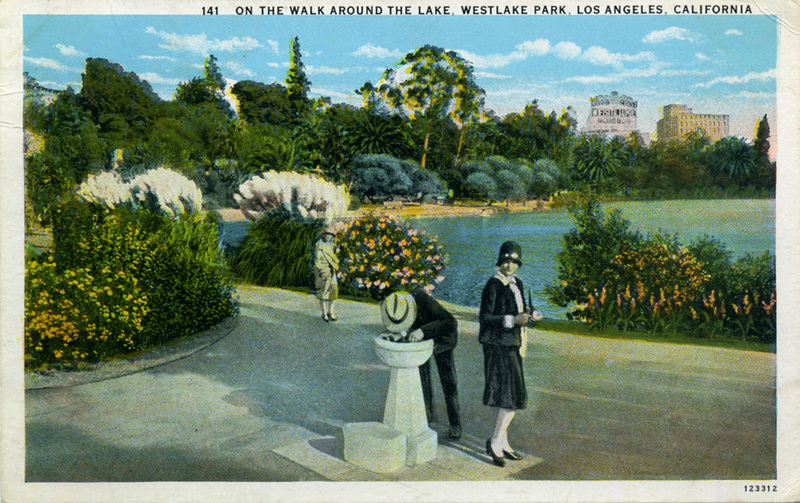 The walkways that ringed the lake were popular for strolling. 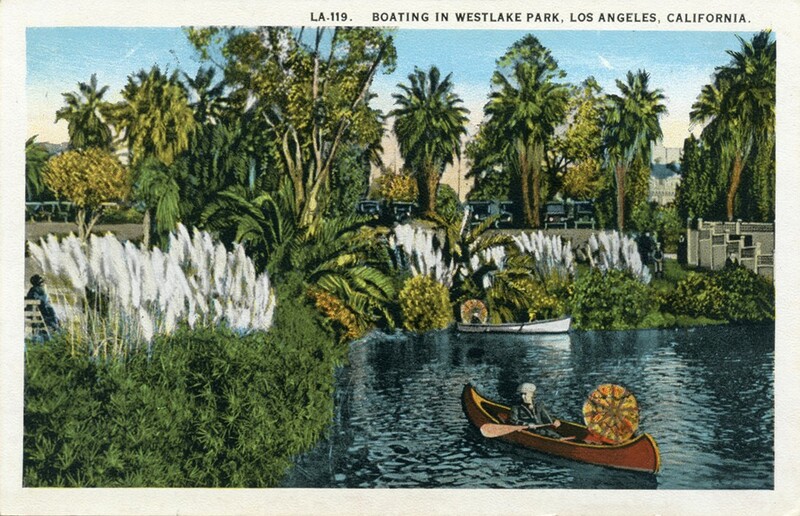 With Los Angeles’ mild weather, courting swains could take their sweethearts out boating on the lake all year ‘round. In January 1920 the Park Commission had architect Frederick J. Soper draw up plans for a new boathouse/café on the lake’s north shore. 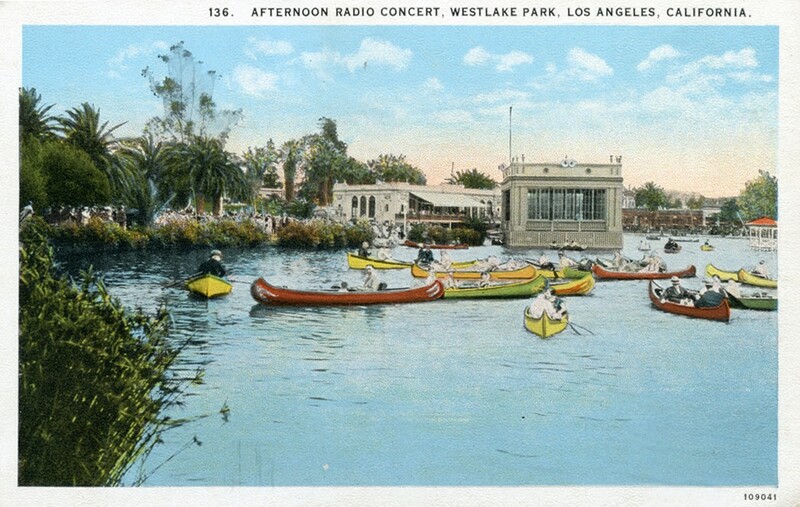 An 1896 band shell was replaced by a band stand that extended over the lake, where on lazy Sunday afternoons and warm summer evenings free live band concerts could be heard. 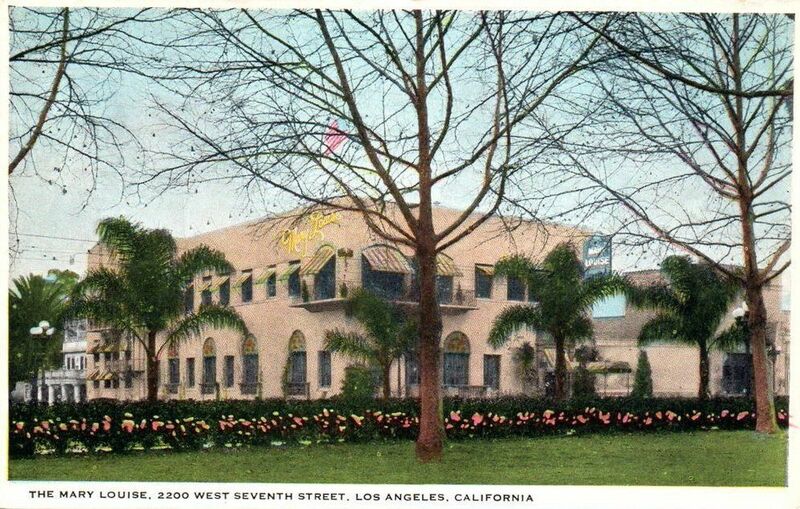 The new Elks Hall (built 1922-23) can be seen towering over the park in this view. Boats on the lake could be enjoyed day and night. 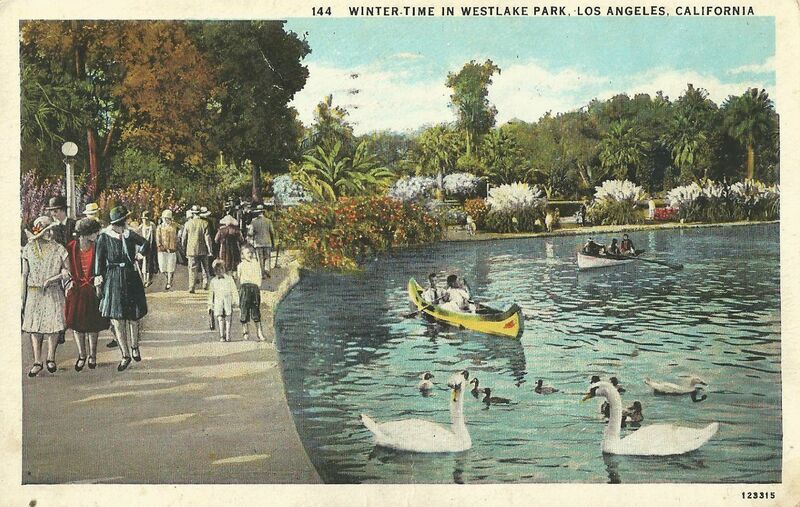 Scenes of people enjoying Westlake Park’s charms in the wintertime were especially popular for sending back to eastern friends who were busy shoveling snow. 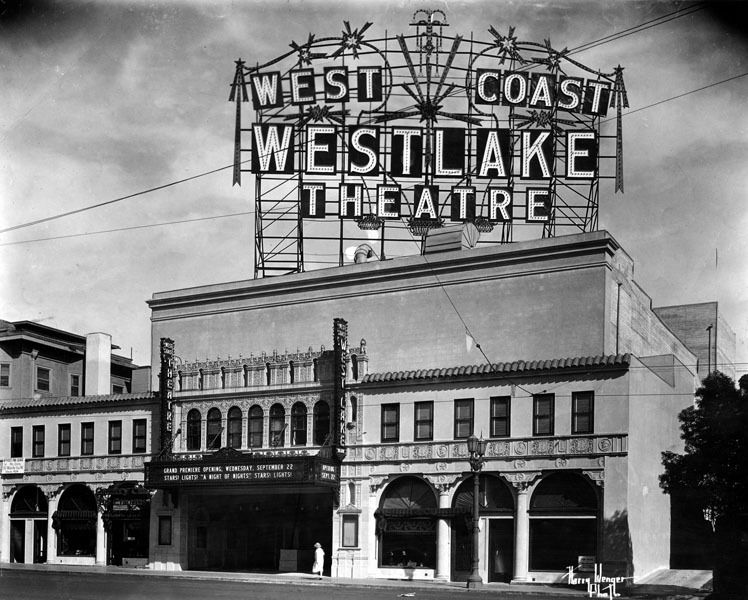 The Westlake Theater at 638 S. Alvarado St. opened in September 1926. Its giant electric roof sign could been seen from all around the lake. Lapl. The Mary Louise Tea Room opened in its own 3-story building opposite Westlake Park in 1922. 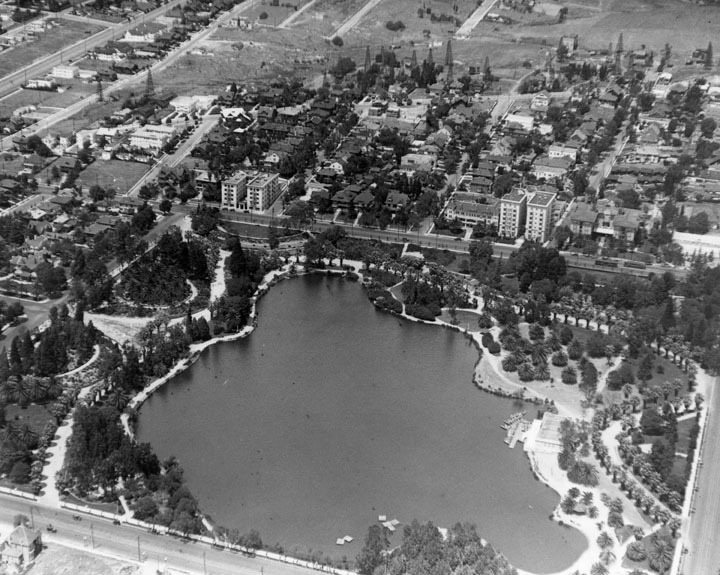 The 1934 causeway bisected the lake. The northern portion was eventually drained. 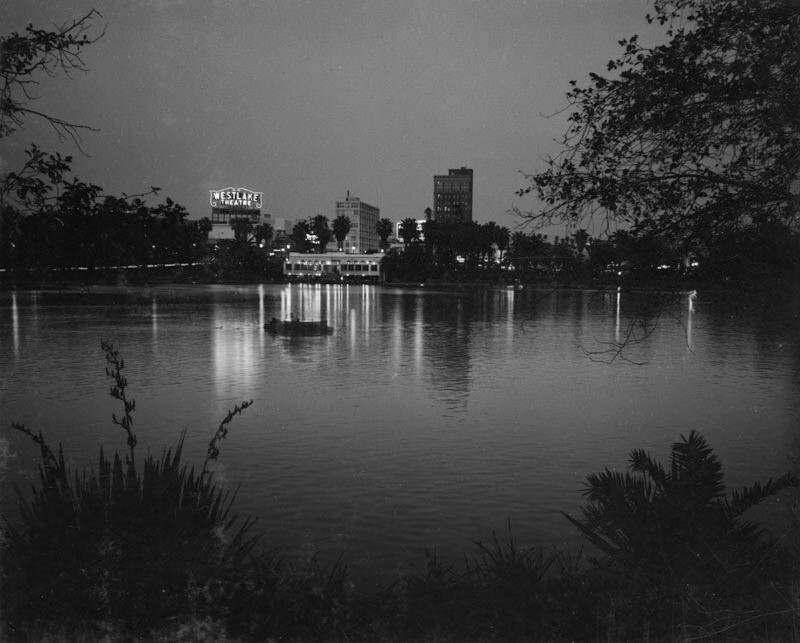 In the early days of World War II, May 1942, the park would be renamed in honor of Gen. Douglas MacArthur, just as Central Park had been renamed Pershing Square Park in a burst of patriotism after WWI.